Scoping Comments on Proposed Forest PlanAmendments to Log Late and Old Structure (Old Growth) Forest and Wildlife Dispersal Corridors in the Ragged Ruby Timber Sale Due January 8th! 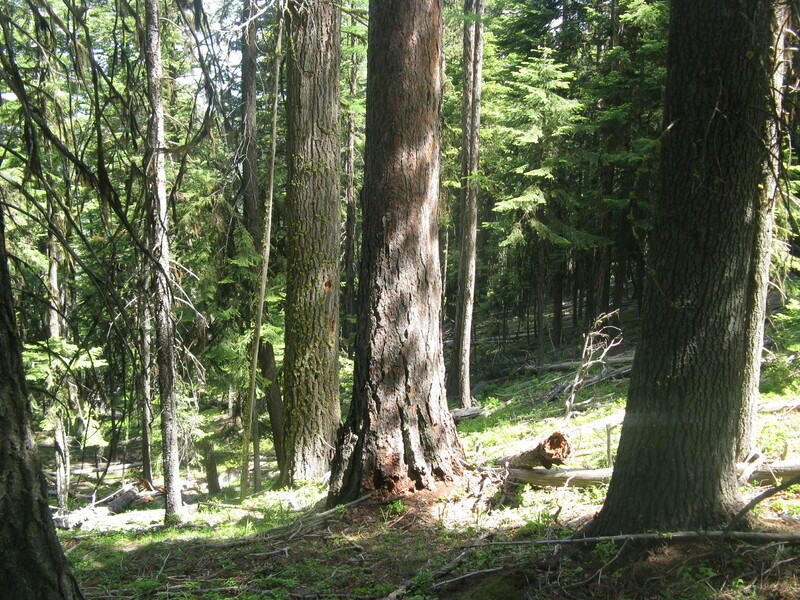 The Malheur Forest Service staff are planning to use two Forest Plan amendments to violate existing Forest Plan standards that require maintaining or enhancing the current level of connectivity between late and old structure forest and designated old growth stands for safer wildlife dispersal and to violate Forest Plan standards in order to allow commercial logging in late and old structure stands. *We are strongly opposed to both Forest Plan amendments proposed as they both effectively violate existing Forest Plan standards in order to allow logging in late and old structure (old growth) forest and to allow the Forest Service not to maintain the current and needed level of connectivity between LOS and designated old growth stands for wildlife to disperse safely for genetic diversity and for climate change adaptation. *These Forest Plan amendments would create significant impacts to ecological sustainability and ecosystem integrity by degrading suitable LOS and connectivity habitat quality and threatening the viability of old growth/LOS-associated species, including Pileated woodpecker, a Management Indicator species (MIS) for multilayered mixed conifer old growth habitat-dependent species, and American marten, a Management Indicator species requiring abundant down wood and large snags and forest connectivity, which is a species ranked as “Vulnerable” across Oregon. 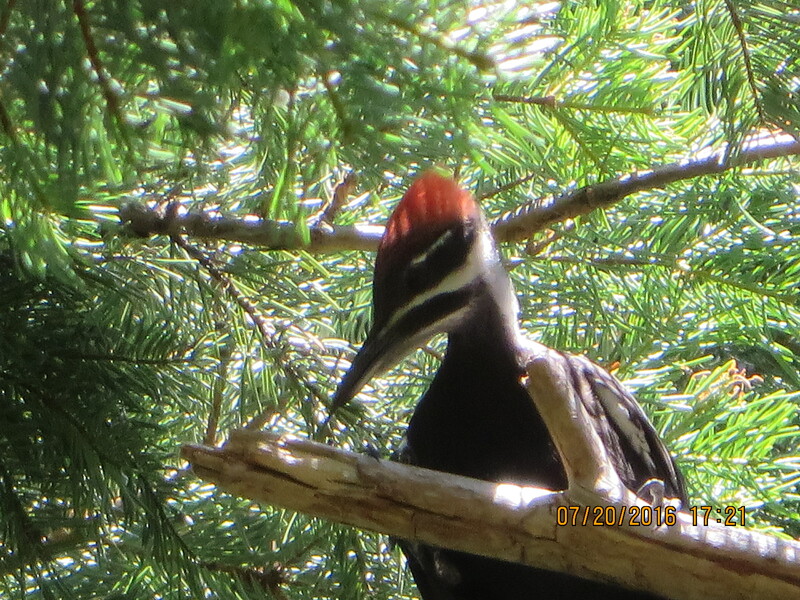 American Three-toed woodpecker, a MIS for old Lodgepole pine forest, could also be negatively affected, as well as other species requiring large and old tree structure, including Pacific fisher, Northern goshawk, and Great Grey owls. *These proposed Forest Plan amendments would have significant cumulative impacts to wildlife, carbon sequestration, recreational and scenic values, and overall ecosystem integrity both within the Ragged Ruby timber sale area and across the Blue Mountain District, due to current and recent similar timber sale logging adjacent to and near the Ragged Ruby sale. These nearby sales include Galena, Camp Lick, Magone, and Big Mosquito, which have similar impacts to large tree structure, forest structural complexity, connectivity corridors, and old growth-dependent species. Camp Lick and Big Mosquito both include Forest Plan amendments to allow logging of large trees and old growth (LOS) habitat. These timber sales have cumulative effects since they form a large block of wildlife habitat and critical fish habitat around the Middle Fork of the John Day River and would be logged over the same extended time period as consecutive sales, with some of the logging potentially overlapping in implementation timing of the sales. *As many wildlife connectivity corridors and LOS (old growth) forest stands in the Ragged Ruby area overlap creek drainages, these two Forest Plan amendments would negatively affect the interdependence of terrestrial and aquatic ecosystems in the planning area, contrary to Forest Service claims that this concern (as expressed in 36 CFR 219.8 (a) (1) (i)) is not applicable. Logging of LOS and wildlife connectivity corridors along creeks even outside the specified riparian (RHCA) no logging buffers could reduce moisture retention within the riparian zone by reducing adjacent shading and moisture retention and reducing the number of trees that could fall from steep slopes into the flood plain or creek to retain moisture through structural complexity or by forming deeper pools for fish. This is contrary to aquatic restoration goals for the Ragged Ruby project area. *The Forest Service responses in assessing the applicability of the substantive requirements of 36 CFR Sections 219.8 to 11 to the proposed Forest Plan amendments are almost all extremely disingenuous and misleading to the public, displaying a heavy bias toward logging to hypothetically reduce the “risk” of future insect outbreaks and “uncharacteristic” wild fire, both of which are dominant natural drivers of ecological processes. 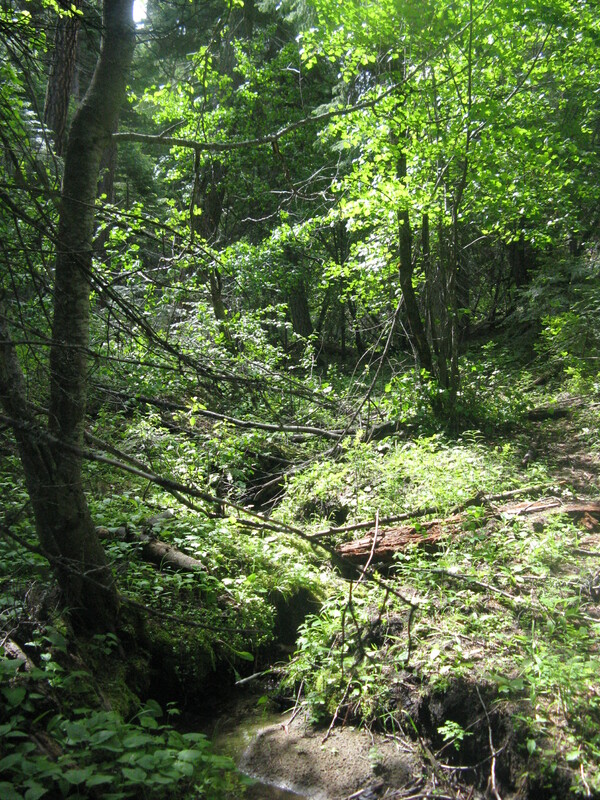 This Forest Service characterization of natural disturbances ignores best available science which recognizes the beneficial ecological roles of wild fire—including mixed severity and stand replacement fire—and native defoliating insects, both of which naturally thin the forest and create habitat niches for species that evolved with both wild fire and defoliating insects. 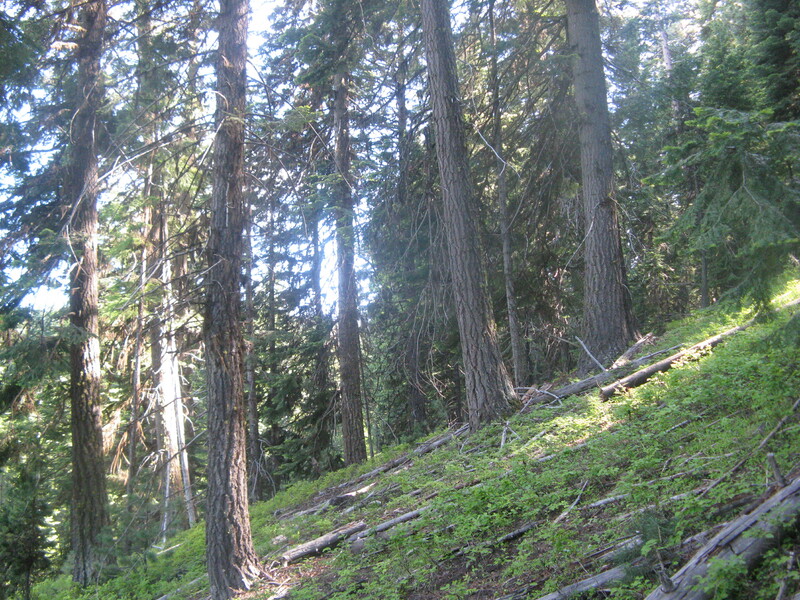 * The Forest Service is ignoring the unnatural impacts of proposed heavy commercial logging to low tree density in LOS and wildlife connectivity habitat when they portray planned logging under these Forest Plan amendments as transitioning the planning area “to a more fire-resilient landscape that is more adapt[ed] to change.” (the Forest Service response to 219.8 (a)(iv)) The Forest Service has failed to demonstrate that logging creates a more resilient landscape that is more adapted to change or that logging reduces fire severity, frequency, or scale. There is increasing scientific consensus that more wild land forest areas need to be allowed to burn in wild fires to maintain ecological processes that support biodiversity. *Planned logging under the Forest Plan amendments is likely to homogenize and reduce biodiversity in the forest species composition and structure, rather than “restore ecosystem structure and function” as claimed in the Forest Service response to 219.8 (a) (ii). *We are very concerned that late and old structure high quality wildlife habitat, never logged forest, wildlife connectivity corridors, and naturally moister riparian-associated upslope mixed conifer forest are over-represented in Ragged Ruby sale units. These are critical areas to protect from logging, not to subject to further logging degradation. *We are also very concerned that the LOS and wildlife connectivity corridors threatened with logging degradation under the proposed Forest Plan amendments likely overlap considerably with active and suitable marten habitat in the Ragged Ruby area. American marten require abundant large down logs for winter below-snow foraging and large snags for denning to be available into the future, both of which would be greatly reduced by proposed heavy logging and prescribed burning in LOS and wildlife connectivity corridors. *The Forest Service is ignoring potential impacts to critical Threatened Steelhead trout habitat, Threatened Bull trout habitat essential for species recovery, and Sensitive Redband trout habitat from logging on steep slopes above perennial creeks and from logging contributing sediment to intermittent streams that could be washed downstream. These potential impacts from logging in LOS and wildlife connectivity corridors adjacent to creek RHCAs contradict the Forest Service’s claim that Section 219.9 (a)(2)(ii) regarding rare aquatic and terrestrial plant and animal communities is not applicable to the Forest Plan amendments, as well as potential impacts to old growth-dependent species and species that use wildlife connectivity corridors, including keystone predators, elk, and deer. The Ragged Ruby area is a stronghold for listed fish species and the broader area along the Middle Fork John Day River, where there are adjacent and nearby similar timber sales, is one of the richest areas for fish species recovery on the Malheur. *We find that the following 36 CFR Sections do apply to the proposed Forest Plan amendments despite Forest Service claims to the contrary: 219.8 (a) (1) (i) re: interdependence of terrestrial and aquatic ecosystems; 219.8 (a) (2) re: (effects to) air, soil and water; 219.8 (a) (3) re: (effects to) riparian areas; 219.9 (a) (2) (ii) re: (effects to) rare aquatic and terrestrial plant and animal communities; 219.9 (c) re: (effects to) species of conservation concern; 219.10 (a) (1) re: multiple use values; 219.10 (a) (9) re: effects to public water supplies and associated water quality; and 219.10 (a) (10) re: opportunities to connect people with nature. *The over-logging of critical wildlife habitat represented by the proposed Forest Plan amendments poses foreseeable risks to ecological, social, and economic sustainability. These proposed Forest Plan amendments do not respond to a “need” for restoration, but instead embody relentless exploitation of wild Nature, the ultimate basis of life, for short-term industry profits. * We ask the Forest Service to cancel the Ragged Ruby timber sale entirely. Thank you for sending in your comments to help us demonstrate public opposition.